Mexican heather (Cuphea hyssopifolia) is a very popular, fast-growing plant. Gardeners like it because it demands very little maintenance, but provides charming purple flowers and strong green foliage. 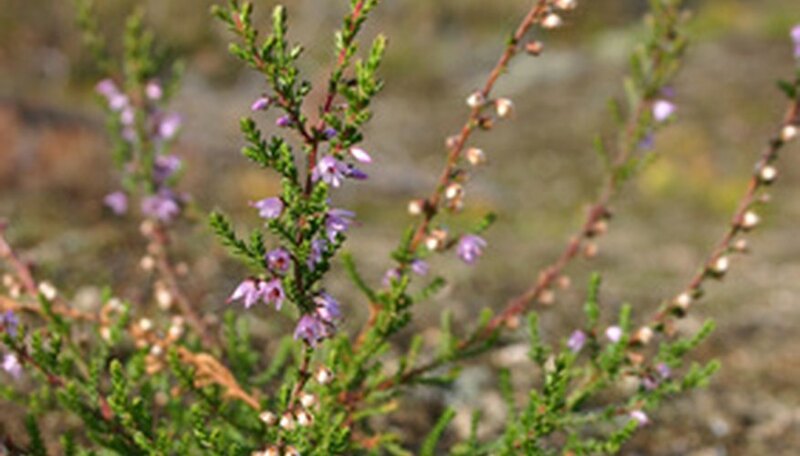 Mexican heather is also known as false heather, to distinguish it from actual heather plants. Mexican heather does best in warm climates, although in colder environments it can be used as a house plant. Plant Mexican heather in full sun or n a partially shaded location. It is native to tropical areas and you will get the best results if you can recreate as much of its natural environment as possible. Mexican heathers may appear more vibrant and intense in dappled or filtered sunlight. Water Mexican heather regularly to give it the best chance for good foliage and flower growth. Mexican heather can survive short drought periods without suffering much damage, but you will grow healthier plants if you water on a regular schedule. Give your Mexican heather 1 inch of water once a week and observe the plant to assess whether it needs to be watered more or less often. Plants in full sun and fast-draining soil may need to be watered more often than plants in partial shade and slower-draining soil. Provide Mexican heather with sandy loam or clay loam soil. Aim for a neutral or slightly alkaline pH balance, in the range between 5.5 and 7.8. Keep the soil moist but not soggy. Soil that drains well is the best environment for Mexican heather. Supplement the soil with an organic fertilizer during the growing season. You do not have to prune Mexican heather frequently. It is compact by nature. Although it is a fast grower, Mexican heather rarely grows taller than 18 inches high and, more often, will only grow to roughly 12 inches high. Prune Mexican heather to control its overall shape and appearance because it spreads easily. Trim away any dead branches. Remove interior branches to promote air circulation and to allow light into the center for a healthier plant. Place Mexican heather towards the front of your planting area because it is a low grower. Mexican heather looks good in mass plantings along a border, as well as single specimen plants. Mexican heather blooms throughout the year in warm climates. It is an evergreen and generally provides year-round visual interest. Gardeners in colder climates treat Mexican heather as an annual. Mexican heather will attract butterflies and bees.